I feel like doing a giveaway…just because you guys rock. 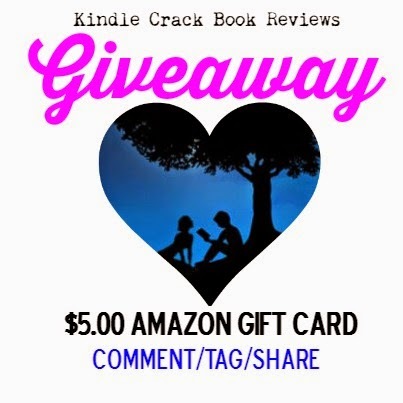 Tell me what book(s) you would buy/pre-order if you win a $5.00 Amazon gift card from Kindle Crack Book Reviews. One random winner will be picked on 9/23 at 7pm to receive a $5.00 Amazon gift card. - COMMENT w/your book title(s) would buy/pre-order. - TAG/SHARE for extra chances to win. Legal blah…I am 100% responsible for this giveaway! It is not sponsored, administered or endorsed by Facebook in any way.